« Workshop: What is GIS and how can it boost your research? The goal of the Faculty Technology Showcase is to provide an opportunity for our community to share how technology is being used across campus. The FRC invites nominated administrators, faculty, staff, or graduate students who incorporate technology in both innovative and practical ways that enhance teaching and learning, assist with research, and/or increase professional productivity to present. 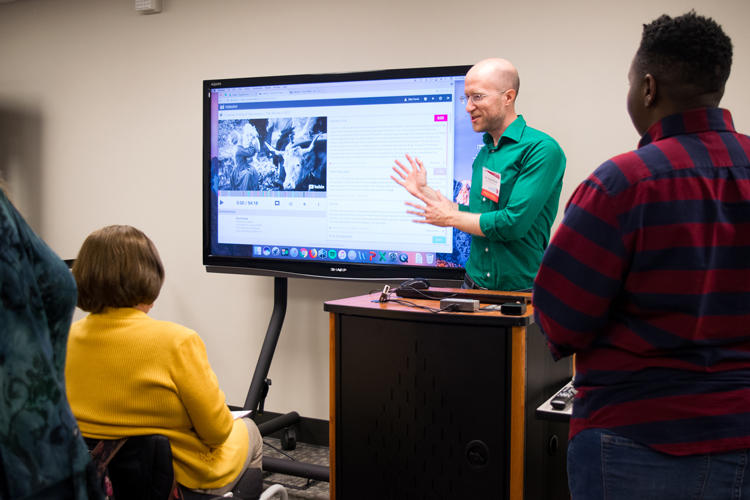 The FRC Faculty Technology Showcase is a great place to learn how faculty are using technology to enhance learning, conduct research, and increase professional productivity. Drop by for an hour or stay for the entire event. This is a great opportunity to meet with others who are interested in how technology is used at UA. Presentations will be in the form of electronic poster sessions that will last approximately 50 minutes each. Now accepting nominations for 2019 presenters!